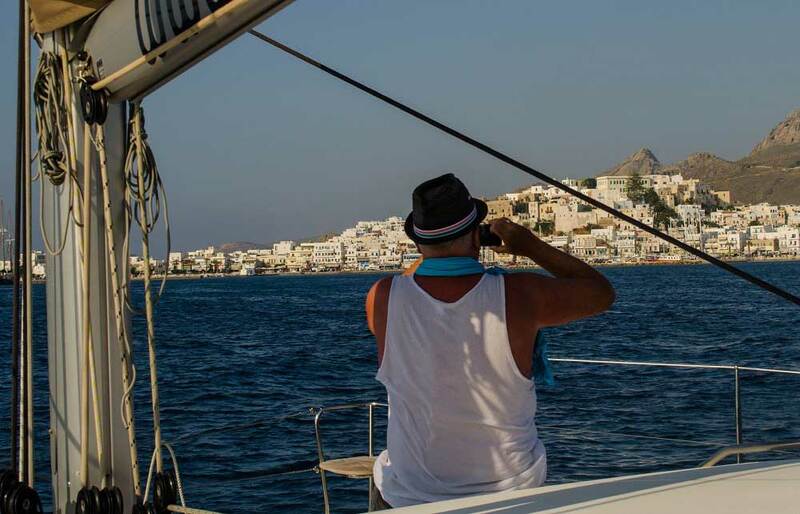 What better reason to leave lovely Naxos for a day, than a chance to sail to the exotic islands of Koufonissia, secluded beaches of Naxos and famous Rina Cave in the comfort of a luxurious catamaran? 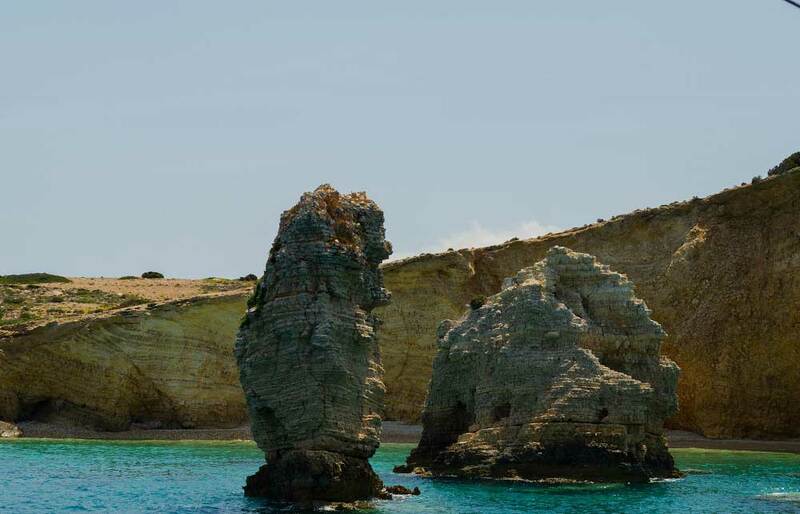 In this unique full day excursion you will depart from Naxos’ Chora and cruise along the island’s south coast, to see secluded beaches, some of which are only accessible by the sea. 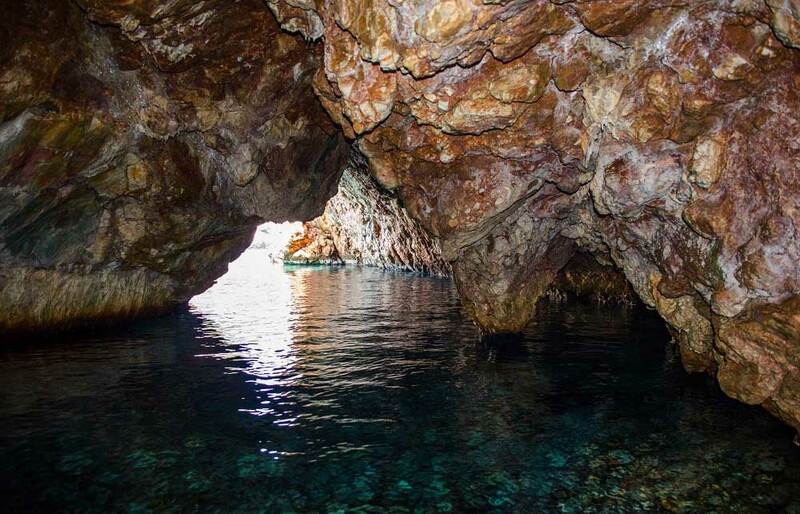 You will first make a stop at Rina Cave, where many wild birds nest. 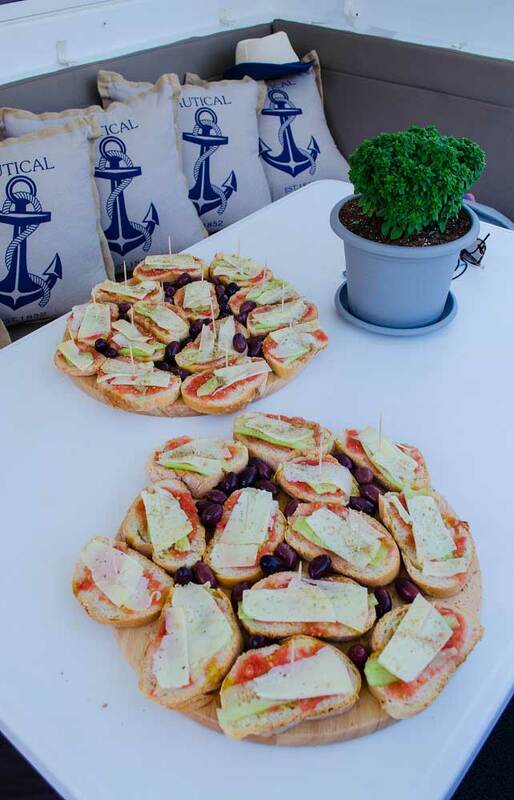 Here you will have a chance to snorkel in crystalline waters and relax while enjoying a breakfast snack on board. 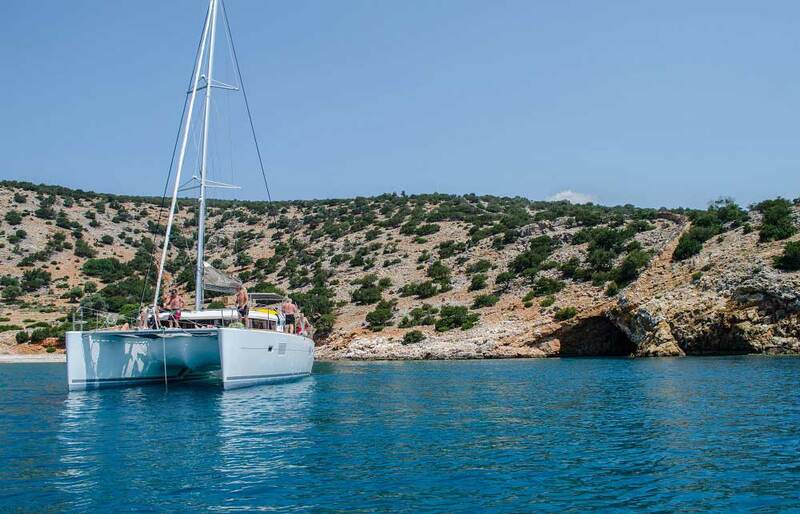 Right after, you will sail straight to the breathtaking Ano Koufonisi, to visit the exotic beach of Pori, one of the most beautiful beaches on the island, where we will make a stop for approximately 2 hours. You can go out to the beach for lunch (a la carte), sunbathe on the beach, and enjoy the transparent turquoise waters of Ano Koufonisi that will have you talking for years! 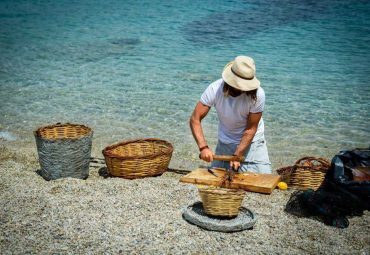 On your way back to Naxos, before you reach Chora, you will make a final stop to the secluded beach of Hawaii, for a few last dives in its serene crystal waters. This tour is organized (group) with minimum number of participants 6, or it can also be arranged privately for groups of up to 20 persons. Children (3 – 10 years old) and infants are welcome to participate with parental guidance. 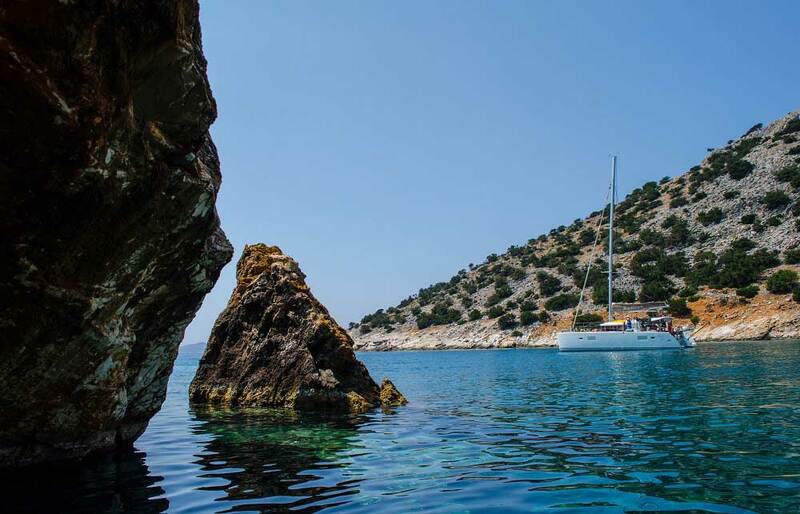 Leave the popular side of Naxos for a day to sail to the secluded beaches of the island and explore the famous Rina Cave! 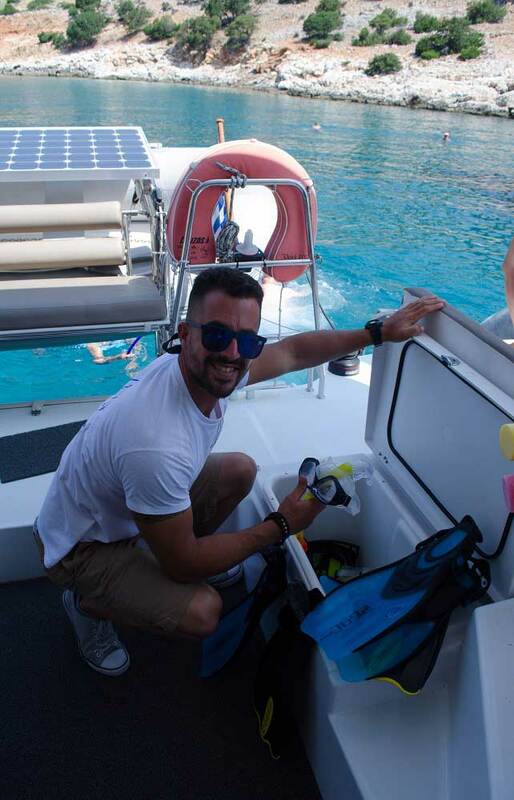 Time to snorkel in the crystalline waters near Rina Cave and relax while enjoying a breakfast onboard! 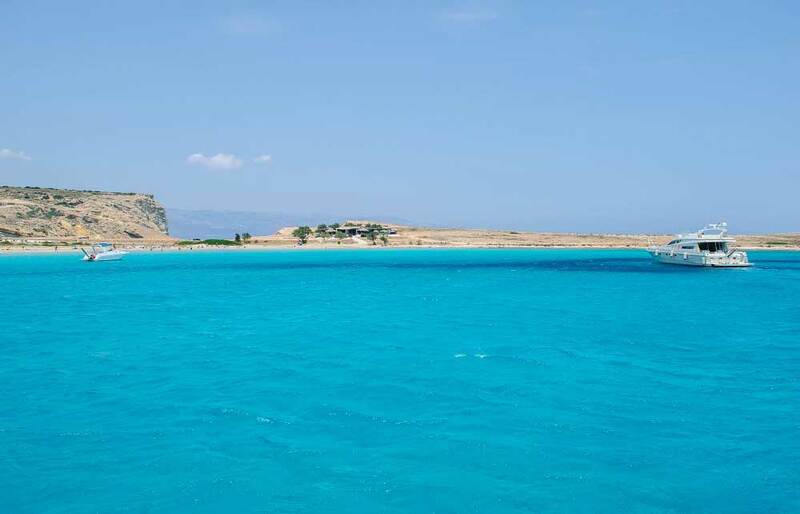 Right after, you will sail straight to the breathtaking Ano Koufonisi, to visit the exotic beach of Pori, one of the most beautiful beaches on the island, where we will make a stop for approximately 2 hours. You can go out to the beach for lunch (a la carte), sunbathe on the beach, and enjoy the transparent turquoise waters of Ano Koufonisi that will have you talking for years! 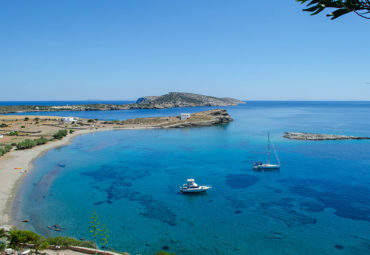 On your way back to Naxos, before you reach Chora, you will make a final stop to the secluded beach of Hawaii, for a few last dives in its serene crystal waters. 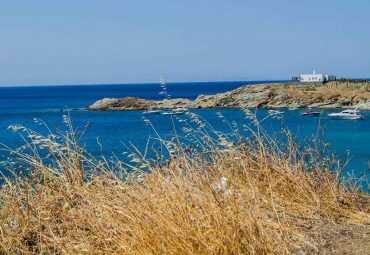 Escaping the busy town Naxos for a day on a trip to secluded beaches and exotic Koufonissia, definitely makes a huge difference! 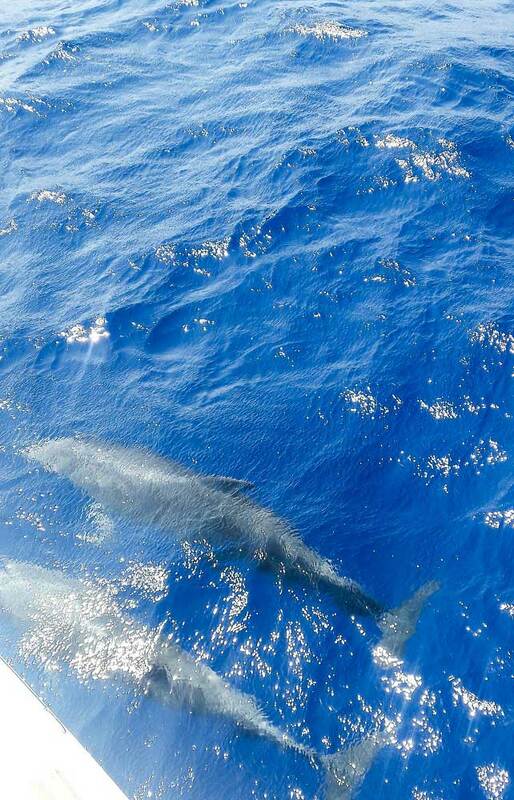 If you get lucky you may even see dolphins swimming along with you against the waves....this is a must do while in Naxos!